Our appointment book is computerized which allows us to efficiently make appointments for you and your pet. Our receptionists and team will attempt to accommodate all requests to the best of our ability. Emergencies are accepted anytime our clinic is open. If you feel you have an emergency with your pet, please call us or come to the hospital immediately. If possible it is best to call before coming in so that a staff member can prepare for your particular emergency. 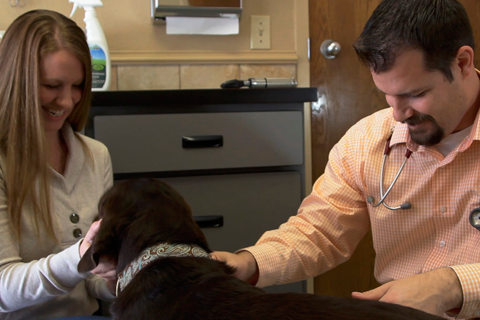 Your pets’ wellness will benefit greatly from regular examinations or “check-ups”. 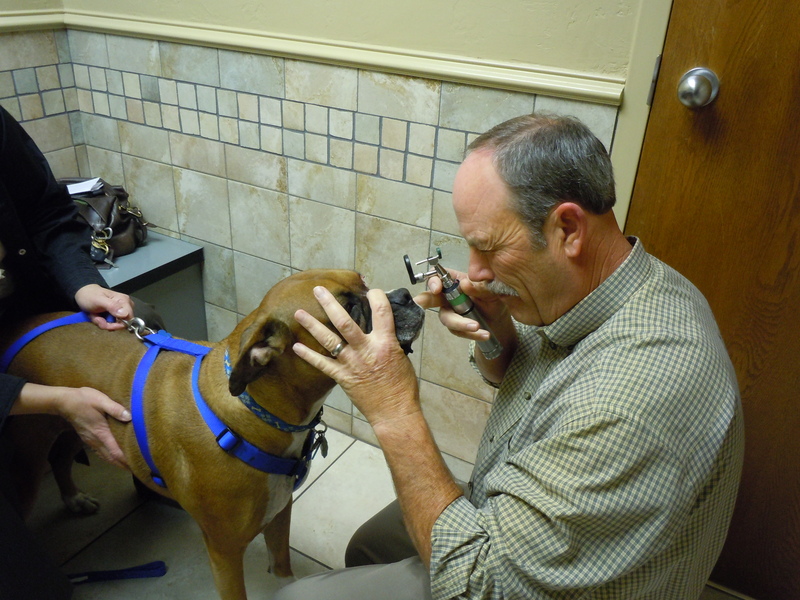 Whether your pet is a youngster, a “senior citizen,” or any age in between, wellness examinations provide an excellent opportunity for us to conduct a thorough physical examination and develop a health profile for your pet. This information will help us identify medical problems and any other issues that can affect your pet’s health and quality of life. Early detection of many illnesses is the key to a successful outcome. A wellness examination is also your chance to have us address your questions or concerns about your pet. We welcome your questions. No question is unimportant, and it is our pleasure to address any of your concerns. We strive to help you understand your pet’s health considerations, and we encourage you to be involved in decisions regarding your pet’s health care. Our practice is up to date with the latest diagnostic capabilities. We offer digital radiography (X-rays), which allows us to better evaluate what’s going on inside your pet and make better informed treatment plans as a result. We perform OFA and Penn Hip certification services, as well. We also offer color doppler ultrasound for more detailed images of abdominal organs and assistance in gathering biopsy and culture specimens. We have recently added improved endoscopy equipment to allow us to look more closely at the upper gastrointestinal tract, colon and upper airways. We have the additional capability to perform in-house bloodwork so that we can get results within minutes. These in-house diagnostics capabilities allow us to make well informed decisions in a short amount of time so that we can help your pet to feel better as soon as possible. 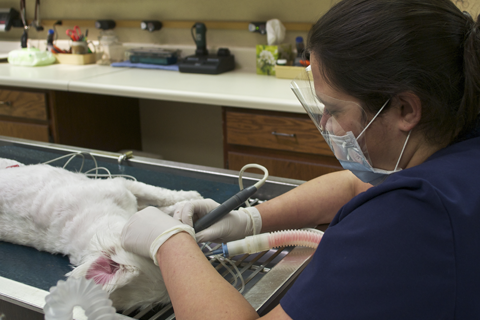 In 2003 Danforth Animal Hospital added a CO2 (carbon dioxide) surgical laser to our practice to provide the best quality care for our patients in need of an alternative to traditional surgical methods. The CO2 laser produces an invisible beam of intense light that vaporizes the water normally found in the skin and other soft tissue. Because the veterinarian can precisely control the laser, only a thin layer of tissue is removed, leaving the surrounding area unaffected. Cauterization is instantaneous resulting in a virtually bloodless procedure. We have a veterinarian and technical staff on duty 6 days a week who are trained and equipped to handle any urgent care your pet has. Usually an emergency team consists of at least one veterinarian and several technicians working together to save a pet's life. Emergencies can be things such as poisoning, hit by car, chocolate ingestion, etc. If you ever feel that your pet needs emergency treatment do not hesitate to call or come in immediately. If possible it is best to call before coming so that our team can be prepared for your particular emergency. Danforth Animal Hospital accepts payment via cash, check, American Express, Discover, MasterCard, or Visa. So that we can continue to provide you high quality service utilizing the best medical technologies, we request that payment be made at the time services are rendered. We also offer grooming with Kassy, who has years of experience. We ask that you please allow at least one to two weeks when scheduling an appointment. Grooming is offered Monday through Friday during regular clinic hours and scheduled by calling our office and we will direct you to Kassy.